This Plush Microfiber Terry Towel is work horse for car care. It is by far the number one selling auto detailing towel. One side is plush, perfect for waterless car washes, quick detailers, and interior dusting; the other side is woven tight, with no pile, and cuts through wax and polish residue with ease. The high pile side is more gentle, and the low pile side has more bite. 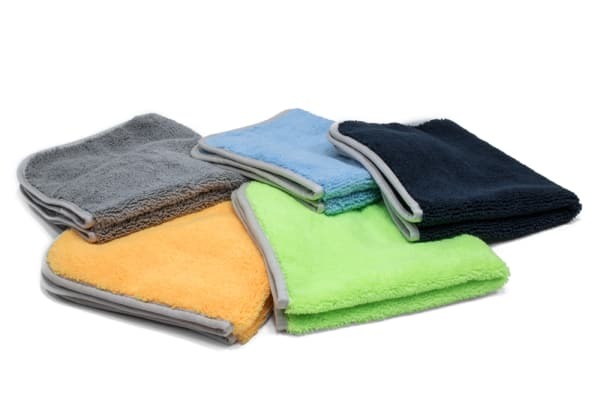 We offer a variety of microfiber detailing towel fabric and edging color options for color coding your various tasks. 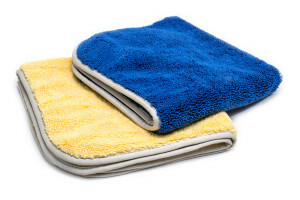 Some people like white microfiber car towels to see the dirt they are collecting and insure that dirty towels are not over used, and some people like black to hide any potential staining. All car detailing microfiber towels have a bound edge with our soft silk binding which provides durability and protects from scratching.